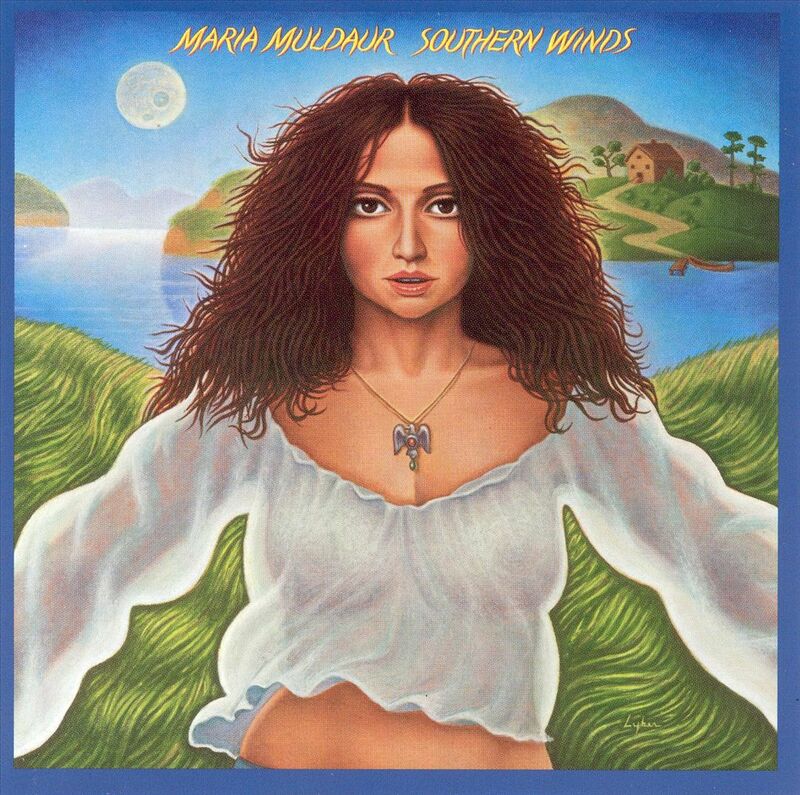 MARIA MULDAUR-SWEET HARMONY, SOUTHERN WINDS AND OPEN YOUR EYES. Although some artists record twenty or thirty albums, they’re often remembered for just one song. Usually, that song is the biggest hit of their career. That was the case with Maria Muldaur. She released her eponymous debut solo album Maria Muldaur in 1973. The song that was chosen as the lead single was Midnight At The Oasis. It reached number six on the US Billboard 100. Buoyed by the success of Midnight At The Oasis, Maria Muldaur reached number three in the US Billboard 200, and was certified gold. Since then, Midnight At The Oasis has been synonymous with Maria Muldaur. Indeed, every time that a Maria Muldaur song is played on radio, it’s Midnight At The Oasis. That’s despite Maria Muldaur recording forty solo albums. This includes Sweet Harmony, Southern Winds and Open Your Eyes. They’ve recently been remastered and reissued by BGO Records on a two CD set. These three albums are a reminder that there’s more to Maria Muldaur than Midnight At The Oasis. Maria Grazia Rosa Domenica D’Amato was born in Greenwich Village, New York on September 12th 1943. Growing up, Maria attended Hunter College High School, which catered for intellectually gifted students on Manhattan’s Upper East Side. Having left Hunter College High School, Maria eschewed further education for a musical career. In 1964, Maria D’Amato joined the Even Dozen Jug Band. It was a thirteen piece band that also featured John Sebastian of The Lovin’ Spoonful and folk-blues guitarist Joshua Rifkin and future. Indeed, several members of the Even Dozen Jug Band would go on to greater things. Before that, the Even Dozen Jug Band released their debut album. Even Dozen Jug Band was released in 1964, and was the one and only album that the Even Dozen Jug Band released. Not long after the release of their eponymous debut album, the Even Dozen Jug Band split-up. It had only been a matter of time before the band imploded. This left Maria’s career at a crossroad. Not for long. She soon joined Jim Kweskin and The Jug Band in 1964, and became their vocalist and violinist. That was where Maria met blues guitarist Geoff Muldaur. They were married in 1964. A year later in 1965, the Jim Kweskin and The Jug Band released its debut album on the Vanguard label. Maria Muldaur made her debut on Jim Kweskin and The Jug Band’s 1965 debut album Jug Band Music. Then in 1966, Maria featured on Jim Kweskin and The Jug Band’s sophomore album See Reverse Side For Title. By 1967, Jim Kweskin and The Jug Band had signed to Elektra, and it seemed like a new dawn for the band. Alas, it was a false dawn. Jim Kweskin and The Jug Band only released the one album on Elektra, Garden Of Joy in 1967. When Jim Kweskin and The Jug Band split-up, Maria and Geoff Muldaur signed to Reprise. Two years later, and the followup Sweet Potatoes was released. While reviews of Sweet Potatoes were mostly positive, history repeated itself. Again, commercial success passed Sweet Potatoes by. However, by then Maria and Geoff’s relationship was at end. They would divorce later in 1972, and would embark upon a solo career. After her divorce, Maria decided to keep her married name. She also decided to sign as a solo artist to Reprise, the label that had released the two albums by Geoff and Maria Muldaur. Maybe her luck would improve? 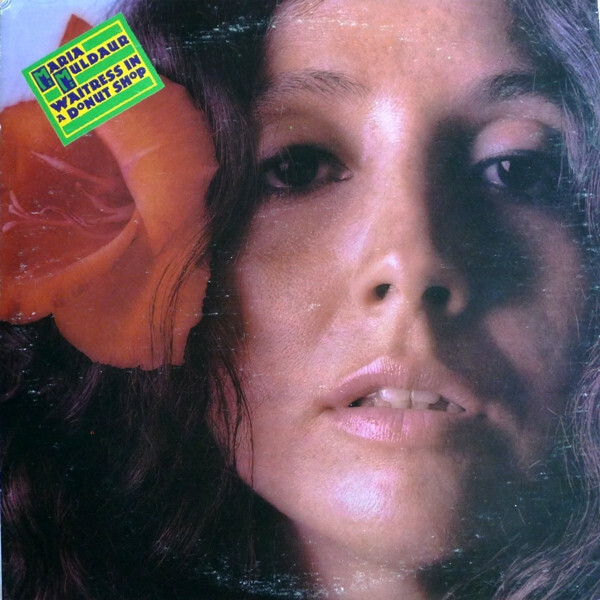 For what became her eponymous debut album, Reprise paired Maria Muldaur with producers Joe Boyd and Lenny Waronker. They entered the studio to record eleven cover versions. Joining them, were some top musicians. This included drummer Jim Keltner; bassists Klaus Voormann and Chris Ethridge; Ry Cooder and Andrew Gold on acoustic guitar; keyboardist Dr. John; pianists Jim Dickinson and Spooner Oldham. With musicians of this calibre accompanying her, surely Maria Muldaur couldn’t fail? When critics heard Maria Muldaur, most of the reviews were positive. So with critical acclaim accompanying the release of Maria Muldaur, her debut album was released in 1973. Gradually Maria Muldaur began to climb the US Billboard 200. When Midnight At The Oasis was released as the lead single from Maria Muldaur this was a game-changer. It reached number six on the US Billboard 100. Buoyed by the success of Midnight At The Oasis, Maria Muldaur reached number three in the US Billboard 200, and was certified gold. Three Dollar Bill was then chosen as the followup to Midnight At The Oasis, but didn’t enjoy the same commercial success. Instead, it reached number seven in the US Billboard Adult Contemporary charts. However, Maria Muldaur’s eponymous debut album had launched the career of the onetime lead vocalist of Jim Kweskin and The Jug Band. Now Maria had it all to do again. Waitress In A Donut Shop. After the success of Maria Muldaur, Reprise didn’t waste time in getting Maria back into the studio. Another eleven cover versions had been chosen. They were an eclectic selection of songs that included blues, folk and pop. This saw Fats Waller and Clarence Williams’ Squeeze Me rubbing shoulders with Lieber and Stoller’s I’m A Woman, Skip James’ If You Haven’t Any Hay and Allen Toussaint’s Play Something Sweet (Brickyard Blues). Again, Reprise paired Maria producers Joe Boyd and Lenny Waronker. When work began on what became Waitress In A Donut Shop, the studio could’ve done with a revolving door. Again, different musicians played on different tracks. Musicians that had featured on Maria Muldaur were joined by new names. Many of the musicians were familiar faces. This included drummer Earl Palmer, guitarists Lowell George and Alvin Bishop, pianist Dr. John, harmonica player Paul Butterfield, David Lynley on pedal steel guitar, trombonist George Bohanon and trumpeter Snooky Young. Adding backing vocalists were Linda Ronstadt and Anna and Kate McGarrigle. With such accomplished, experienced and talented musicians accompanying Maria, the sessions went smoothly. So much so, that Waitress In A Donut Shop was scheduled for release in 1974. It was a case of striking when the iron was hot. With Maria Muldaur and Midnight At The Oasis fresh in critics’ memories, they received a copy of the followup Waitress In A Donut Shop. Mostly, the reviews were positive as Maria switched between blues, folk and much more contemporary sound. This was similar to Maria Muldaur. However, would Waitress In A Donut Shop enjoy the same commercial success? On the release of Waitress In A Donut Shop in 1974, the album reached just number twenty-three on the US Billboard. Reprise chose I’m A Woman as the lead single, and it reached number twelve in the US Billboard 200. It also reached number four on the US Billboard Adult Contemporary charts. Despite the lack of a single like Midnight At The Oasis, it looked like Maria Muldaur was on the verge of a long and successful career. Buoyed by two hit singles and two successful albums, Maria Muldaur began work on her third album. She had overcome the notoriously difficult second album, and was forging a reputation as a talented and versatile singer. Maria was capable of seamlessly switching between genres, and had done so on her first two albums. This allowed Maria to choose a much more eclectic selection of songs for her third album. This included William “Smokey Robinson’s Sweet Harmony, Neil Sedaka and Phil Cody’s Sady Eyes, Kate McGarrigle’s Lying Song, Haogy Carmichael’s Rocking Chair and Smokey McAllister’s I Can’t Stand It. Maria decided to cover two songs by Wendy Waldman, Back By Fall and Wild Bird. The other songs on Sweet Harmony included Harry Woods’ We Just Couldn’t Say Goodbye, Jon Herald’s Jon The Generator and Rev. William Herbert Brewster. This was a suitably eclectic selection of tracks that would allow Maria to showcase her versatility. For Sweet Harmony, producers Joe Boyd and Lenny Waronker returned. This time around, many of the musicians that featured on Waitress On A Donut Shop were absent. However, their replacements were just as experienced and talented. Some of the session musicians seemed to spend half of their waking hours in the recording studio. However, some successful artists weren’t averse to playing on a sessions. This included the legendary J.J. Cale, who added slide guitar on Sad Eyes. Just like many other musicians, he only featured on the one track. Among the other high profile musicians were bassists Jim Dickinson and Larry Gales, drummers Earl Palmer and Russ Kunkel, guitarist Kenny Burrell and Little Feat keyboardist Bill Payne. Among the backing vocalists were Linda Ronstadt and Amos Garrett. They were joined by a horn and string section. Woodwind was also used on Sweet Harmony. Just like previous albums, it seemed to a case of no expense spared when Maria entered the studio. So far, it had paid off. Now that Sweet Harmony was complete, Reprise scheduled the release for later in 1975. Before that advance copies were sent out to critics. They were immediately struck by how the songs seemed tailor made for Maria. Each song was perfectly suited to her voice, and her interpretation brought new meaning to many of the lyrics. Especially when accompanied by such a tight and talented band. With their help, Maria takes detours via gospel and jazz, before returning to what’s more familiar territory, blues, country folk and rock on Sweet Harmony. The title track, which is a beautiful ballad where country and gospel combine, opens Sweet Harmony. The quality continues on a melancholy and poignant country-tinged version of Sad Eyes. Lying Song is like returning to another musical age. Suddenly, the listener is transported to a speakeasy in New Orleans, and an old time jazz band accompany Maria, as she showcases her versatility. Blues and jazz then combine on the wonderfully wistful sounding Rocking Chair. Then it’s all change as I Can’t Stand It features a vocal powerhouse from Maria. Elements of gospel, jazz and rock combine, and prove the perfect way to close side one of Sweet Harmony. We Just Couldn’t Say Goodbye saw Maria and her tight, talented band combine elements of blues and jazz. Then Back By Fall has a much more understated and contemporary sound, as she delivers a heartfelt vocal. It’s all change Jon The Generator, as Maria kicks loose as her band fuse jazz, blues and gospel. However, one of the most beautiful songs is Wild Bird, is another ballad. Maria’s tender vocal is accompanied by a subtle arrangement. Closing Sweet Harmony was a powerful and rousing version of As An Eagle Stirreth In Her Nest. Sweet Harmony was truly eclectic album where Maria Mudaur changed direction, and in doing so, showcased her versatility and talent on an album that oozed quality. When Sweet Harmony was released in 1975, it didn’t match the success of previous albums. Sweet Harmony stalled at fifty-three in US Billboard 200. For Maria this was hugely disappointing. Her first two albums had sold well. Maybe she had badly advised about the direction to take? Was a move in the direction of gospel and jazz the right one to make in 1975? That must have been what executives at Reprise were thinking. They decided that it was time to make a change. If Reprise left it any longer, irreparable damage could be done to Maria’s career. So a decision was made that producers Joe Boyd and Lenny Waronker wouldn’t return for Maria’s fourth album Southern Winds. Replacing Joe Boyd and Lenny Waronker was Chris Bond. He had previously producedHall and Oates’ last three albums. By the time he began work on what would become Southern Winds, Chris Bond’s star was in the ascendancy. He had produced two million selling albums for Hall and Oates, so was regarded as the perfect producer to rejuvenate Maria Muldaur’s career. Maria Muldaur’s eponymous debut album had been the most successful of her career. Since then, sales of Maria’s albums had declined. That had been the case with Waitress In A Donut 1974 and 1975s Sweet Harmony. Something had to change. So in 1977 Maria and Chris Bond headed to the Sound Labs Inc. studio in Hollywood. That was where Southern Winds was recorded. It featured ten cover versions. This included three penned by Leon Russell. He wrote Make Love To The Music and Joyful Noise, and cowrote Say You Will with Gary Oglan. Among the other tracks were Leonard Caston’s I’ll Keep My Light In My Window, Rory Block’s I Got A Man, J.J. Cale’s Cajun Moon, Bill Champlin’s Here Is Where Your Love Belongs, Deadric Malone’s That’s The Way Your Love Is and Charles Johnson’s My Sisters And Brothers. The other tracks was Daniel Moore and John Bettis’ I Can’t Say No. These tracks would become Southern Winds. At Sound Labs Inc, a much smaller band would accompany Maria. This time around, the revolving door wasn’t needed for the studio door. The rhythm section featured drummer Ed Greene, bassist Scott Edwards and guitarist Amon Garrett. Les Dudek laid down some slide guitar; Michael Finnigan added keyboards and Ernie Watts lead the horn section. The backing vocalists that again featured Wendy Waldman. Gradually, Southern Winds took shape. For Maria Muldaur this was the most important album of her career. Reprise scheduled Southern Winds for release in 1977. Before that critics were sent a copy of the album. It was an album that divided the opinion of critics. While most critics gave Southern Winds positive reviews, a few critics felt the album wasn’t up to the standard of previous albums. Desite this, the majority of critics felt that the change of producer was a breath of fresh air. Chris Bond was responsible for a much more slicker, more contemporary sound. Still though, Maria stayed true to her roots and made occasional forays into blues and gospel. Although, most critics welcomed the more contemporary sound, some critics felt that Maria was too reliant on cover versions. As proof, they pointed at three songs penned by Leon Russell. Given Maria wasn’t writing her own songs, this was a necessary evil. The only alternative was to follow in the footsteps of other artists who used songwriters and songwriting teams to provide them with new material. Maybe this was a route Maria would go down in the future? This to some extend would depend on the commercial success of Southern Winds. When Southern Winds was released in 1978, the album sold poorly, reaching just a lowly 143 in the US Billboard 200. This was the least successful album of Maria’s solo career. Sadly, bringing onboard producer Chris Bond hadn’t resulted in a commercial successful album. However, Southern Winds is a truly underrated album. Make Love To The Music set the tone for Southern Winds. It’s a heartfelt ballad, with a lush AOR sound was reminiscent of Midnight At The Oasis. I Got A Man is another ballad. Here an Maria is accompanied by backing vocalists on a track where AOR, gospel and jazz combine. Here is Where Your Love Belongs is another ballad that fuses AOR and jazz. It features a tender, needy vocal from Maria. Again, she revisits the sound and style of Midnight At The Oasis. Maria then stays true to J.J. Cale’s Cajun Moon and doesn’t try to reinvent the wheel. This is only part of the story of Southern Winds. Say You Will, with its jaunty arrangement and gospel-inspired harmonies. I’ll Keep My Light In My Window showcases the new slick and contemporary sound. Again, the backing vocalists are called into action as Maria combines power and passion. That’s the case on the country-tinged I Can’t Say No. It features a feisty vocal from Maria, who again, proves to be a versatile vocalist. That’s the Way Love Is finds Maria unleashing a rueful, emotive and powerful vocal. Adding the finishing touch are gospel-tinged harmonies. The bluesy Joyful Noise finds Maria delivering a feisty vocal powerhouse. That’s the case on She My Sisters and Brothers closes Sweet Harmony. Again, gospel tinged harmonies accompany Maria on what’s a truly underrated album. 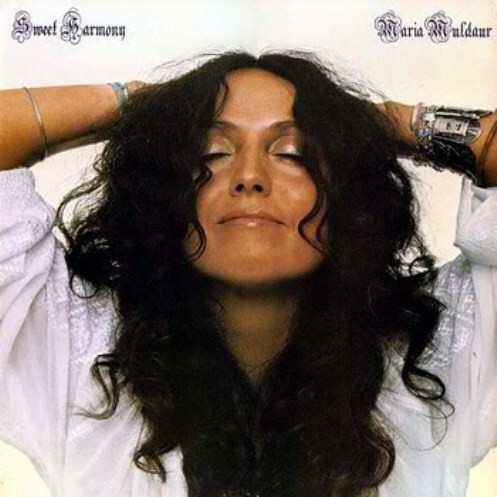 Sweet Harmony was the fourth album of Maria Muldaur’s career. It had a hit a new low. The album had reached just 143 in the US Billboard 200. Five years previously, Midnight At The Oasis had given Maria a top ten hit and her eponymous debut album had been certified gold. Now Maria Muldaur’s career was officially at the crossroads. Surely the only way was up. Or was it? Chris Bond didn’t return for the followup to Sweet Harmony, Open Your Eyes. Instead, two producers were hired. The first was Patrick Henderson, who was an experienced songwriter and producer. He had previously worked with The Doobie Brothers and Michael McDonald. Joining Patrick Henderson, was David Nichtern a talented songwriter who had written Maria’s biggest hit Midnight At The Oasis. With the two producers both being experienced and talented songwriters, maybe things were staring to look up for Maria Muldaur? For Open Your Eyes, the two producers contributed five new songs. Patrick Henderson and Worrell Jones wrote Fall In Love Again and Heart On Fire. He also wrote Open Your Eyes with Michael McDonald and Lee Abrahams. David Nichtern penned Birds Fly South (When Winter Comes) and Elona. Other tracks included Brenda Burns Finally Made Love To A Man and John Hiatt’s (No More) Dancin’ In The Street. The other two tracks were familiar ones: Clarence Reid and Willie Clarke’s Clean Up Woman and Jimmy Davis, James Sherman and Roger Ramirez’s Lover Man (Oh, Where Can You Be)? This mixture of old and new songs became Maria Muldaur’s fifth album Open Your Eyes. To record Open Your Eyes, various studios in Los Angeles were used. This included Warner Bros. Recording Studios, Studio 55, Cherokee Recording Studios and Burbank Recording Studios. Producers Patrick Henderson and David Nichtern used a core band, and augmented them with guest musicians. Some only played one or two songs. The two producers were also musicians and played on Open Your Eyes. Patrick Henderson played piano, Fender Rhodes and took charge of rhythm arrangements. David Nichtern played acoustic guitar and arranged the strings. They brought onboard musicians of the calibre of drummers Rick Schlosser and Ron Tutt, bassist Willie Weeks and guitarist Dean Parks. Stevie Wonder added harmonica on Birds Fly South (When Winter Comes); while Junior Walker added saxophone on Heart Of Fire. Although the band was much smaller than on Maria Muldaur’s first couple of albums, it was tight, talented and certainly not lacking in experience. They were determined to get Maria Muldaur’s career back on track. By the time that Open Your Eyes was completed, and the costs were totted up, it would prove to be one of the most expensive albums recorded in L.A. during this period. This of course would be recouped against Maria Muldaur’s royalties. That was if enough copies of Open Your Eyes were sold on its release in August 1979? Before the release of Open Your Eyes, critics received an advance copy of the album. Meanwhile, executives at Reprise waited with baited breath. They needed Open Your Eyes to sell well, given how much had been spent on the album. To some extent the reviews would determine how many people bought the album. Granted Maria Muldaur’s fans would buy the album. Sadly, there weren’t enough of them. What Reprise needed, were casual record buyers to go into their local record shop and ask for a copy of Maria Muldaur’s Open Your Eyes. After the reviews, this was looking rather unlikely. Open Your Eyes was an album that divided the opinion of critics. While it garnered some positive reviews, the new breed of gunslinger critics set aim on Open Your Eyes. They saw Maria as part of the musical establishment, and albums that were produced in Hollywood hills as the antithesis to the punk and post punk music that was filling the charts. Often, these gunslinger critics hadn’t even listened to the album, and unleashed their vitriol. If the gunslinger critics had listened to Open Your Eyes, they would’ve heard an album was well produced, and featured a tight, talented band accompanying Maria. As usual, she was able to inject emotion, energy, power and humour into the songs. Whatever was needed, Maria was capable of providing it, in an attempt to breath life and meaning into the songs. They broadly fall into two categories, uptempo tracks and ballads. Fall in Love Again was a rocky track where Maria delivers a vocal powerhouse. Meanwhile piano, strings and harmonies accompany her. Heart of Fire was another rocky track that featured some clever interplay by the horn section. (No More) Dancin’ In The Street features a feisty and powerful vocal from Maria, while her band combine blues, rock and jazz. Maria’s then covers Betty Wright’s million selling single Clean Up Woman. She brings something new to a familiar song. However, this only part of the story of Open Your Eyes. When Open Your Eyes was released, the album failed to even trouble the US Billboard 200. It was the least successful album of Maria’s five album career at Reprise. For Maria, this was the end of her time at Reprise. This was no surprise. Ever since releasing Maria Muldaur in 1973, it had been downhill all the way. Each album sold less than the last one. 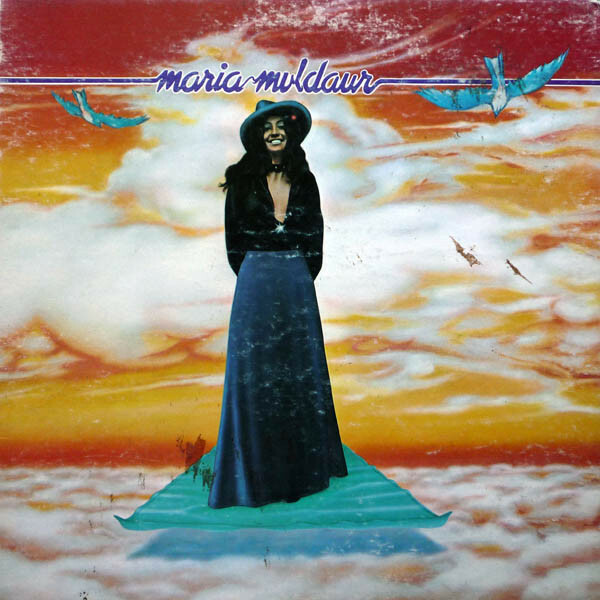 Open Your Eyes was a long way from Maria Muldaur’s eponymous debut album. Not only did was it certified gold, but featured the top ten hit Midnight At The Oasis. By 1979, it was the song that had become synonymous with Maria Muldaur. Indeed, even today, every time that a Maria Muldaur song is played on radio, it’s Midnight At The Oasis. That’s despite Maria Muldaur recording forty solo albums. This includes Sweet Harmony, Southern Winds and Open Your Eyes. They’ve recently been remastered and reissued by BGO Records. The sound quality is excellent, and feature the different sides of Maria Muldaur. Unlike many singers, Maria Muldaur was equally comfortable single AOR, blues, folk, gospel, pop and rock. That’s the case on Sweet Harmony, Southern Winds and Open Your Eyes. They feature a versatile and talented singer, Maria Muldaur. Sadly, these three albums failed to match the commercial success of Maria Muldaur’s first two albums, 1973s Maria Muldaur and 1974s Waitress In A Donut Shop. Even changing producer twice couldn’t change Maria Muldaur’s fortunes. Producers Joe Boyd and Lenny Waronker were replaced Chris Bond. He was brought in to produce Southern Winds, but departed after one album. Replacing him were Patrick Henderson and David Nichtern. Alas, they couldn’t arrest the decline in Maria Muldaur’s fortunes. She left Reprise after Open Your Eyes, and never recorded an album for a major label again. That’s despite Maria Muldaur recording forty solo albums. 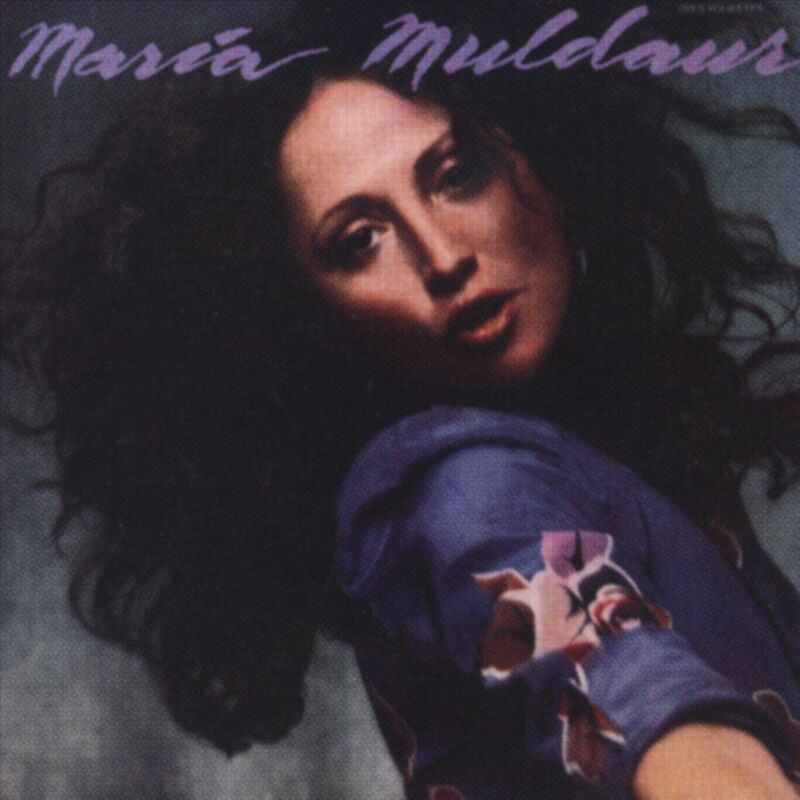 Maria Muldaur 1973 eponymous debut album was the most successful album of her long career. However, there’s much more to Maria Muldaur than just one album. This includes Sweet Harmony, Southern Winds and Open Your Eyes, which are the perfect introduction to Maria Muldaur. ← THE LADIES OF TOO SLOW TO DISCO-RECORD STORE DAY VINYL EDITION.